Mills in Bloom Florists and Vintage. 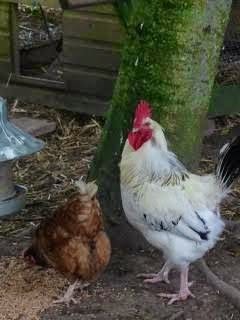 Counting Chickens - Here come the girls!. not a Chef a Cook. Most definitely a Mrs Patmore ! - from Downton Abbey Kitchens. She started her career as scullery maid at Moundsmere Manor, Hampshire. It was here she fell off her bike on the long drive and was rescued by my grandfather the cowman, the rest of us are the history. Exbury, Rhododendrons & D Day Landings. Exbury - is a village in Hampshire, England. It lies just in the New Forest near the Beaulieu River and about a mile from the Solent coast. 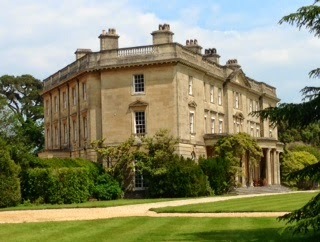 It is best known as the location of Exbury House, built by the Rothschild banking family, and the famous Exbury Gardens. The Rothschild family still have significant land holdings in the area. Tweed Fabrics - Fashion & Interiors. Jugs of the late George lll period showing hand-painted purple lustre on glazed earthenware. 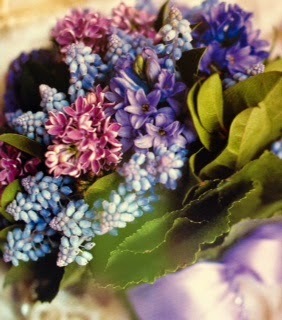 Hyacinth and Muscari Wedding Bouquet. A most delightful country-style wedding bouquet from our archives. 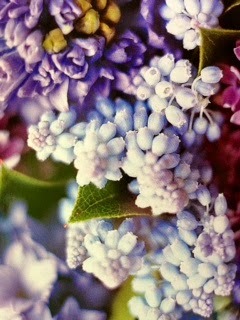 Fragrant blue muscari with blue hyacinth and lilac hand-tied with a tight foliage of galax leaves and salal collar. These flowers all have the same texture and stem length and enjoy the most delightful scent. The Stems bound in ivory satin ribbon and secured with pearl pins. Garden Flower Bouquets of Lavender and Blue. 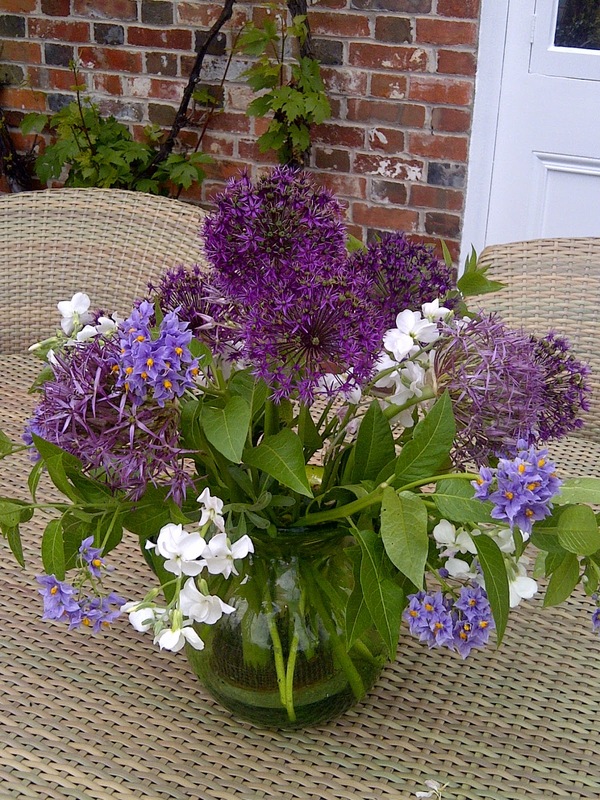 These typically English country garden flowers reflect all that is summery and fresh. 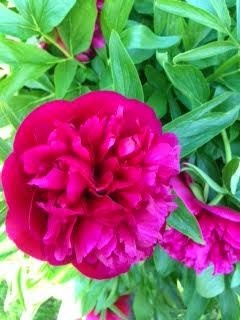 Flowers are always bloomy and full of bright colours and fluffy textures. 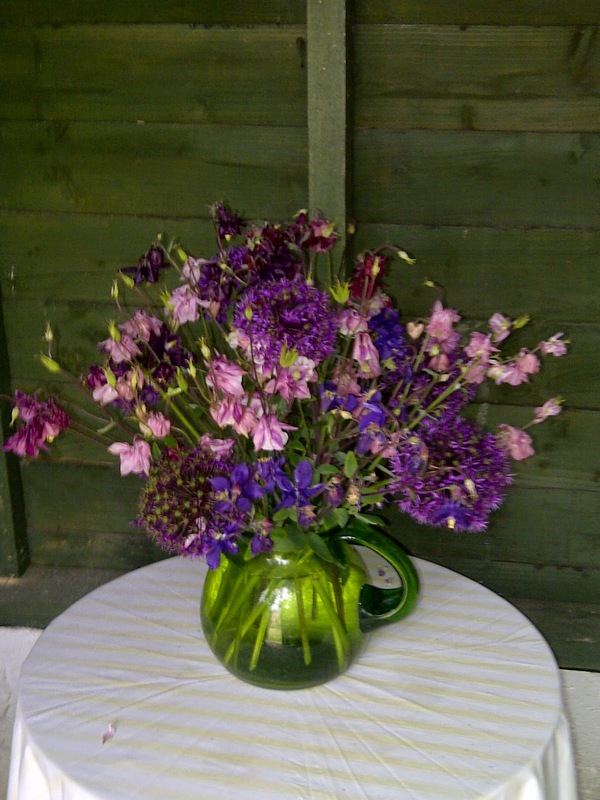 Blooming alium heads and ladies mantle arranged in this simple water jug straight from the flower beds. 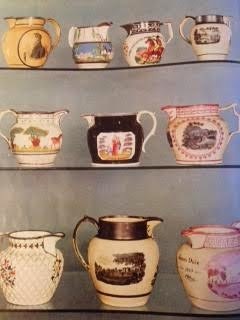 Vases and containers can be rustic old tin pots, milk jugs and vintage Chrystal glass vases. 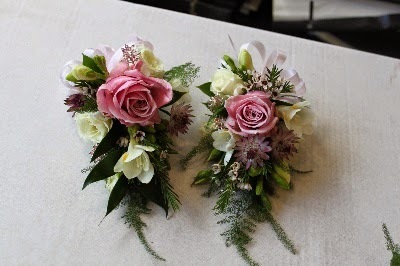 Wedding Flowers - Buttonholes & Corsages - Pink Roses. Vintage Book - Grieben's Vol. 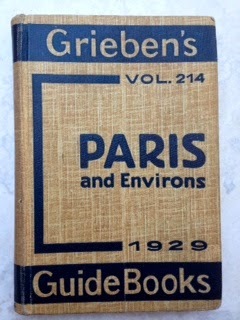 214 Paris and Environs 1929. Grieben's Guide Books Vol. 214. With 7 Maps & Ground-Plans. Situation. Paris capital of France, chief town in Seine-department and seat of a university. Vintage Book- Old Fashioned Flowers - Mills Vintage Interiors. Vol. IV. 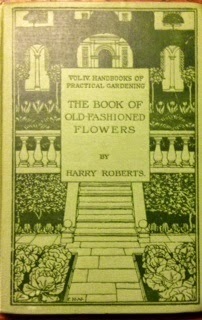 Handbooks of Practical Gardening. Old Fashioned Flowers, means different things to different people. 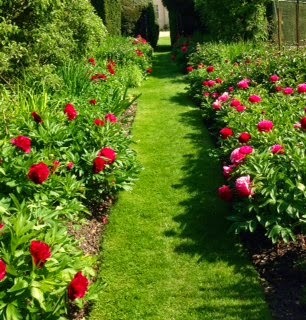 Appleshaw Open Garden - Peonies, Peonies, Peonies ! 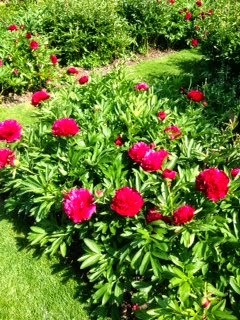 Wonderful frothy peonies, yards and yards of them. Excellent Tea and Chocolate Cake !.